Hamstring muscle flexibility is important because it optimizes musculoskeletal function and may prevent injury to the muscle. The most common way of improving muscle flexibility is through stretching, which has been shown to bring about viscoelastic and neurophysiological changes in the muscle. In the clinical setting, acupuncture is routinely used to treat myofascial trigger points, which are commonly found in tight muscles. The aim of this study was to investigate whether the acupuncture technique referred to as superficial dry needling could improve hamstring muscle flexibility. The literature reports that the hamstring is the most commonly injured muscle during sporting activity (O’Hora et al. 2011). Hamstring muscle flexibility is considered to be important in preventative and clinical rehabilitation programmes (Schuback et al. 2004; O’Hora et al. 2011). Stretching exercises are recommended on the basis that they may prevent injuries (Schuback et al. 2004; O’Hora et al. 2011), improve athletic performance (Thacker et al. 2004), and improve muscle and joint flexibility (Thacker et al. 2004). Flexibility varies between individuals, and it has been suggested that muscles spanning more than one joint are more at risk of injury (Davis et al. 2008). The acupuncture technique known as dry needling is commonly used to treat myofascial pain and dysfunction (Baldry 2002a, b; Huguenin 2004). It is known as “dry” needling because no substance is injected (Baldry 2002a). back pain, occipital headaches, and paralysis and numbness of the lower extremities (Ding 1991). it shows some correlation with the common MTPs of the hamstrings described by Travell & Simons (1992). The acupuncture technique known as superficial dry needling was used. 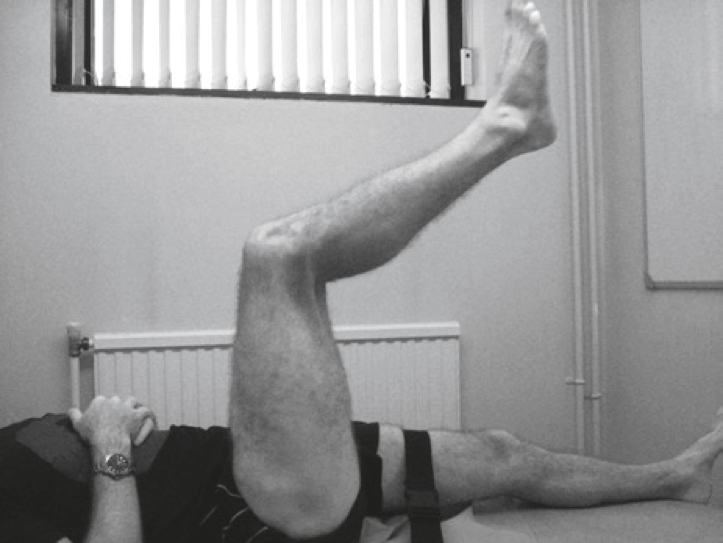 The results of this research provide statistically significant evidence to support the use of this technique to improve hamstring muscle flexibility with stretching. Bradnam-Roberts L. (2007) A physiological underpinning or treatment progression of Western acupuncture. Journal of the Acupuncture Association of Chartered Physiotherapists 2007 (Autumn), 25–33. Baldry P. (2002a) Management of myofascial trigger point pain. Acupuncture in Medicine 20 (1), 2–10. O’Hora J., Cartwright A., Wade C. D., Hough A. D. & Shum G. L. K. (2011) Efficacy of static stretching and proprioceptive neuromuscular facilitation stretch on hamstrings length after a single session. The Journal of Strength and Conditioning Research 25 (6), 1586–1591.